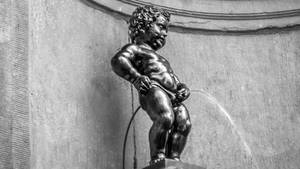 The Manneken Pis is the symbol of the city of Brussels, and more generally of Belgium. Indeed, if we were to keep only one monument per country, no doubt this little fountain would be the one chosen by the majority of Belgians to represent them. The fact that the Manneken Pis represents the independence of spirit of the Belgians comes directly from its history, linked to the history of the country. Knowing that he had a certain value in the eyes of the inhabitants, Louis XV, then master of Belgium, decided to recover it, thus marking a symbol of strong authority. But in the face of the sling that was being organized he turned back and recognized the statue as a more political role, using it to appease the population. His gesture was simply to offer him a gentleman's dress, showing the respect he had for her. It has helped to ease tensions, and this is one of the important opportunities that have given Manneken Pis a symbolic role as representative of the Belgian population. To touch Manneken Pis was to touch the people. To respect it was to respect the people. the lesson was learned by all the leaders of the future Belgium, and thus it became its symbol of independence of spirit. But in a more traditional way it also represents a certain broader idea of ​​independence, a turn of mind that leans toward impertinence and that ultimately represents quite well those people who were invaded most of the time in its history but which, in our day, is the seat of Europe. Beautiful revenge that the Manneken Pis seems to symbolize in the sight of all that everyone is hidden ... An impertinence proper to the Belgians who care little about the events they undergo, knowing that in the end, they will always be where others will have disappeared. 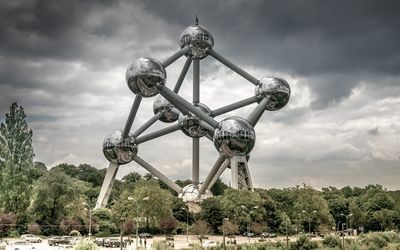 If you had to symbolize Belgium, for example through its main monument to connect with other monuments of the world, what do you choose? Yes, it's probably the Manneken Pis that would be his emblem! There are other possibilities like using the atomium, which has for it the originality of the form. With the atomium, it's impossible to be wrong, we talk about him, while a statue remains a statue ... But nothing to do, the atomium is much less known than the Manneken Pis, and around the world, he will be a better ambassador for Belgium. Another symbol, recent, is possible: The Council of Europe. It's modern, but too political, and most importantly, the building itself is much less well-known than the European Parliament, which is used when it comes to symbolizing political Europe. So there is nothing to do, when you have to find a symbol in Belgium, it is inevitably the Manneken Pis is chosen. 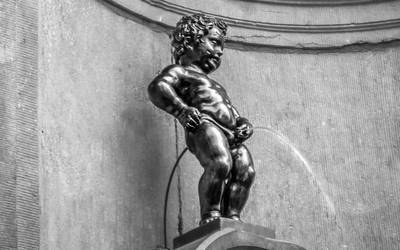 The Manneken Pis also symbolizes, and above all, the pride of the Belgians in the world around them.